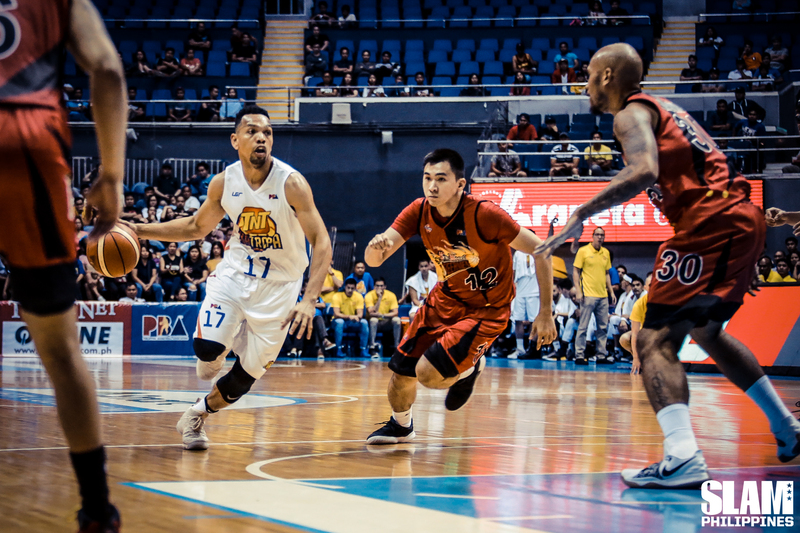 Jayson Castro delivered his best game of the season so far and Troy Rosario returned from injury to lead the TNT KaTropa to a 104-93 win over the San Miguel Beermen. Castro filled up the stat sheet with 24 points, five rebounds, 11 assists and four steals. He shot 62% from the field and was unstoppable from inside the arc, hitting all nine of his shots from two-point range. Rosario started the game and added 22 points. The game was tight in the first half. The biggest lead by either team during that stretch was when the KaTropa jumped out to a 6-0 advantage to start the game. After that, they traded leads and baskets with the Beermen all the way to the halftime break. The two teams were tied at 51 after two quarters. In the third period, the KaTropa started to pull away. The Beermen opened the period with their best shot. They went on a 12-4 run to take an eight-point lead. That advantage didn’t last long. Castro and Rosario nailed back-to-back treys to spark a 10-0 TNT answer. Late in the period, the rest of the KaTropa joined in on the scoring spree. They took a six-point lead heading into the final period. In the fourth quarter, the Blur put the game away. After Rosario, Don Trollano and Brian Heruela carried the offense to start the period, Castro went on a barrage midway through the final period. He scored seven straight points to increase the lead to 13. Castro scored on a three-pointer sandwiched between layups to build a comfortable cushion for TNT. The Beermen couldn’t overcome that advantage in the final minutes. Christian Standhardinger led the Beermen with 24 points. Von Pessumal broke out with 23 points while June Mar Fajardo added 22. In the first game, the NLEX Road Warriors finally got on the board. They took down the Columbian Dyip, 107-97, for their first win of the season. Poy Erram was a beast all game long for the Road Warriors. He had 23 points, 10 rebounds, six assists and five blocks. 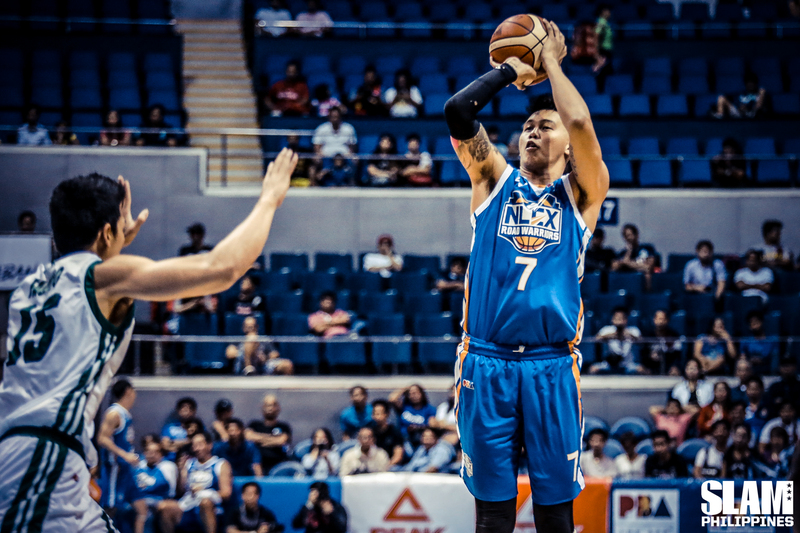 His scoring set the tone for NLEX in the first quarter and carried them for stretches in the second half. The Road Warriors jumped out to an 18-6 lead with Erram leading the way. He was the target of the pick-and-pop attack of the team. His first bucket of the game gave NLEX a 10-2 lead. His next two buckets pushed them to the 12-point advantage. Erram continued his onslaught with a hookshot and a three-pointer to push the lead up to 15. Marion Magat and Kevin Alas joined in on the scoring as NLEX jumped out to a 39-16 lead. The Road Warriors continued to pile on the points throughout the game. Kenneth Ighalo’s three-pointer midway through the second period pushed the lead up to 31 points. Columbian showed grit and tenacity in the third period. They shackled the Road Warriors and limited them to just 17 points. Rashawn McCarthy, Jay-R Reyes and Reden Celda all came off the bench to provide a spark for the Dyip. They were able to cut the lead down to just seven points heading into the final period. But that was their best shot of the game. Erram scored crucial baskets in the fourth period to keep the Dyip at bay. His turnaround jumper with less than three minutes left was the dagger of the game. That gave NLEX an 11-point lead. They held on to the win until the end. Ighalo added 19 points while Magat had 14 to help Erram in the paint. Perez led the Dyip with 16 points and 11 rebounds. McCarthy added 16 off the bench.